The Estonia Green Party (Erakond Eestimaa Rohelised) headed into the 2011 Parliamentary elections in a precarious position. Following their breakthrough election in 2007, when they went from zero to six seats in their Parliament, the political landscape in Estonia had changed and concern for the environment had fallen well down the list of voters’ priorities. With a threshold of 5% to enter into Parliament, polls in the run up to the election put the Estonian Greens as low as 2%. The Estonian Greens therefore had to run an extremely effective campaign with few resources if they were to have any chance of returning to Parliament. The Estonia Greens therefore adopted two tactics to try and broaden their appeal – the inclusion of non-members in their campaign list, and an embracing of the ‘Green New Deal’ being promoted by the wider European Green movement. The Estonia Parliament is elected using a list system, with voters able to both choose a party and rank candidates within that party. In order to broaden their appeal, the Estonia Green Party invited non-members to put their names forward for their list. The objective was to have 50% of the list composed of non-party members, specifically people who had a proven record in fields such as academia, political thought leaders and people with a background in arts and culture. This also fitted with the Green belief of involving as much of society as possible in the decision making process, and ensuring that the political system is open to new ideas and new people. The Party ensured that any of these candidates selected conformed to the wider principles of the Green movement. However, in order to incentivise them to join the party’s list, they were all given the option to feed into the development of the Party’s election manifesto. Opening up party development to people outside the party is never easy. However, the Estonian Greens worked hard to create a policy development process that was respectful of the differing perspectives of the member and non-member candidates. This delayed somewhat the publication of the party’s manifesto, but the delay was justified in order to ensure that there was coherence of message across the different candidates. Thought the Party failed to secure the necessary 5% to return to Parliament, the strategy of including non-members in the list is judged to have been a successful one. They Estonian Greens improved on the 2% opinion poll ratings, winning close to 4% of the vote. The non-members proved to be effective and articulate spokespersons during the campaign and many remain involved in the Party post-election. The media also responded positively to the development, giving the Greens some of their best coverage of the election. Under the Estonia list system, voters are able to rank candidates under each list. Analysing the list results, it appears that non-member candidates polled better than member candidates. As a result, if the Party had polled above 5%, then its Parliamentary group would have been made up mostly of people who had only recently joined the Party. The second strategy adopted to maximise their election prospects was promoting the ‘Green New Deal’, the transformation to a more sustainable and equitable economy and society that is being promoted by the Green movement across Europe. 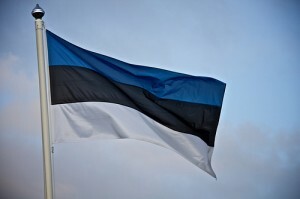 The high level of unemployment in Estonia in recent years meant that economic policy would feature heavily in the election, and so the Green Party would need a strong economic basis in its manifesto. The GND was discussed widely within the Party in the run up to the election, and in the development of the manifesto. In this process, the Party was able to avail of the detailed research conducted by the European Green movement. During the campaign itself, the GND gave the Party as positive economic narrative that it was able to use to distinguish itself from other parties. However this narrative had to be greatly simplified so that it could be easily communicated to voters. While the GND concept was of use to the Estonian Green Party, there were a number of limitations to its effectiveness in the campaign. For a start, the GND was not able to completely resolve the Estonia Green’s economic vulnerability. Many voters did not believe they had sufficient credibility on economic matters and saw their concern about the environment as a barrier to economic development. It was hard for them to move away from the perception that the Greens were solely concerned about environmental issues. While the media reported on specific aspects of the GND, such as investment in energy efficiency, they did not report on the overall concept of the GND and how it provides an alternative economic narrative. While the Estonia Greens failed to be elected to the Parliament, the experience of opening the list to non-members and the adoption of the GND were positive ones. This article was written following an interview with Valdur Lahtvee, who was actively involved in the Estonian Green Party campaign. I’m afraid the primary reason for failure of Estonian greens was ugly infighting and the fact that the green parlamentarians had discredited themselves. Many active members left the party before elections. The claims about 2% support before elections are not exactly true, most polls I can think of suggested support of 4 or even 5% of citizens.